When Liam works on a Saturday I usually spend the morning with my mum, which is great as this is our time. So on Saturday we headed into Bradford for a little bit of shopping. I wasn't actually going to buy much seen as I am trying to save a little bit but there was no way I was leaving these bargains behind. Our large PoundWorld store has a big section at the back where everything is half price, this is great especially as most items in here are now over £1. 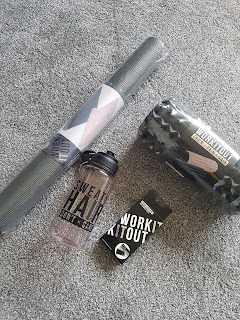 I have been on the look out for a yoga mat for a while now and this was marked down to £2.50 which is really cheap compared to what I had been looking at. Similarly this foam roller was also down to £2.50 and should work wonders on my bad leg and ease the tension on it. Resistance bands are also meant to be good at strengthening my leg so I picked up this pack of 3 for just £1 and they come in a nice little carry case. Finally from PoundWorld I picked up this large water bottle as I seem to be drinking a lot more water these days. 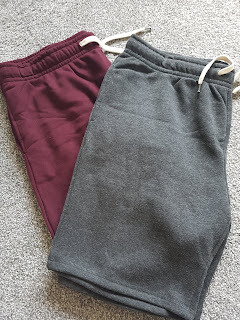 Next up was Primark and I really wasn't going to get anything however, if you have read the blog recently you will know I am putting together my perfect wardrobe. With me loosing weight I don't want to spend too much on clothes so I just picked up a few bits. I love just wearing jersey shorts around the house and these were reduced to £4 a pair so I got a couple of pairs of these. I love the maroon colour and the grey is one I always go for. 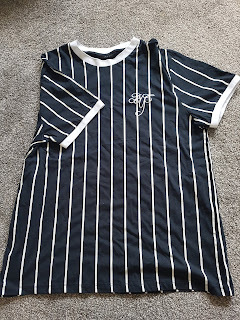 Now this top is like one I had seen in Footasylum recently but was only £8 in Primark so there was no way I was leaving it behind. 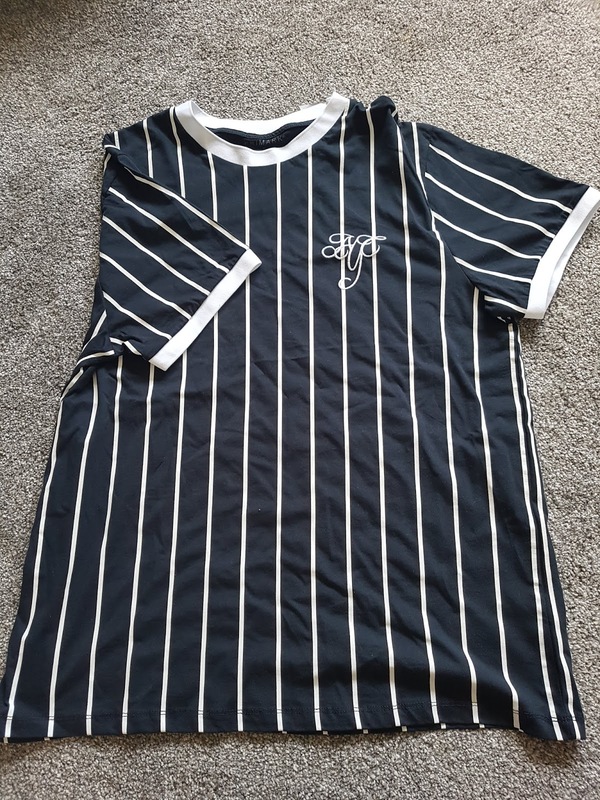 It is a bit of a longer top which is what I have been after for a while now and I love the stripes on it. It feels like it is good quality too. Finally I got this England top for £9 and I love it. To me it has a look of the 66 shirts which was perfect. Honestly I aren't England's biggest fan, I actually support Portugal and always have done each year I get a shirt. 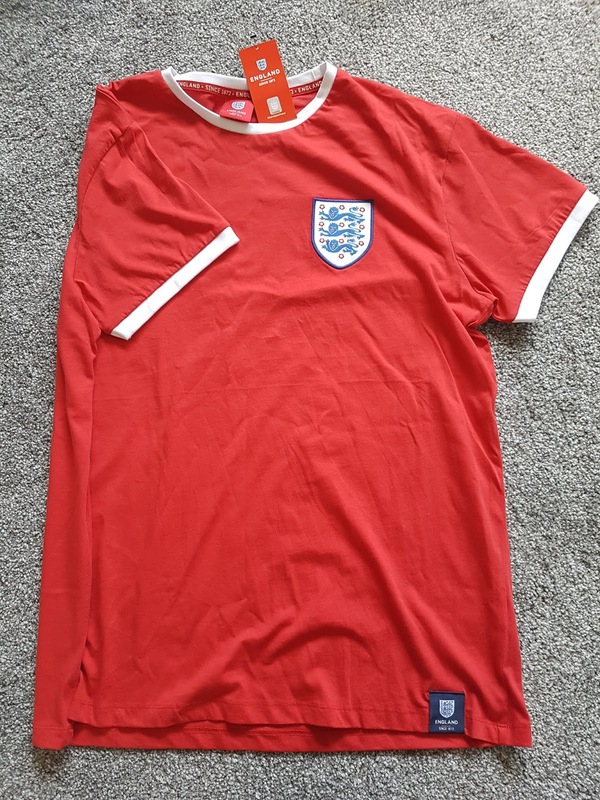 But as I follow England and I have been told I aren't wearing a Portugal shirt every weekend I thought I would pick this up. I am definitely going to ban myself from buying new clothes until I really need to as who knows how long I will be this size for especially if I carry on as I have been doing.